The following disclaimer is provided for your information and for legal reasons in accordance with the current Australian Legislation. I (Kerryn Slater) am under legal obligation to make you aware that all information given to you during a reading/intuitive session are for entertainment purposes only and no liability will be accepted by Kerryn Slater for neither any actions taken resulting from a reading or information provided, nor consequences of such action which may or may not arise from the results. Readings/Intuitive sessions offered by Kerryn Slater are intended to offer insight into a person’s personal life and offer inspiration and encouragement. The information provided is for guidance only. What you decide to do with the information given to you, including any actions you take, is down to your own personal responsibility and choice. All readings/intuitive sessions and questions answered do not in any way constitute legal, financial, medical, professional or business advice, and are subject to your own interpretation and judgement. By engaging in a reading/intuitive session with Kerryn Slater you understand that she will not diagnose illnesses or offer answers to questions about pregnancy or death. The following disclaimer is provided for your information and for legal reasons in accordance with the current Australian Legislation. You (the participant) understand that Energy Healing/Medical Intuition/Energy Clearing is a simple, gentle, hands-on energy technique that is used to promote stress reduction and relaxation. You (participant) acknowledge that Healing practitioners do not diagnose conditions nor do they prescribe or perform medical treatment, nor interfere with the treatment of a licensed medical professional. You (participant) understand that Energy Healing/Medical Intuition/Energy Clearing does not take the place of medical advice and/or treatment. It is further advised that you (participant) consult a licensed medical doctor for any physical or psychological ailment you may have. You (participant) understand that the body has the ability to heal itself and to do so; relaxation and stress reduction are often beneficial. You (participant) acknowledge that long term imbalances in the body often require multiple sessions in order to facilitate and restore balance within the body. You (participant) understand that any discomfort, pain or reaction to this session is part of my body’s response and not caused by the practitioner (Kerryn Slater) facilitating the treatment. You (participant) hereby accept that there shall be no liability on the practitioner should adverse effects be experienced. The classes and workshops offered by Holistic Essentials Therapy and Consulting have been designed to assist adults to learn skills to manage day to day stress, build resilience to stress, enhance well-being, and improve one’s overall effectiveness in day to day work and life. The classes on offer from Holistic Essentials Therapy and Consulting are not intended as a substitute for consultation and treatment from a qualified and registered heathcare provider or health service if you have concerns about your mental or physical health. If you are experiencing problems with mental health (e.g., anxiety, depression, insomnia etc) or some other form of illness, then we recommend you immediately consult either your physician, doctor, psychologist or allied health care professional first (whichever is appropriate), before deciding on whether to embark on the path of Meditation. In the case of mental health or physical illness, mindfulness/meditation classes should not be considered as an alternative to professional assessment and regular treatment under an appropriately qualified and registered health care practitioner or service. 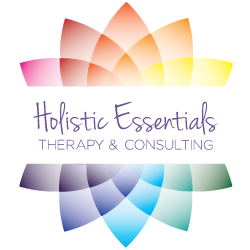 Holistic Essentials Therapy and Consulting does not take any responsibility for any adverse experiences or consequences that may arise for an individual during or after attending our classes/workshops/Downloads if they have not sought appropriate professional advice and treatment in regard to any concerns they have about their health. It is always the primary responsibility of the individual attending our classes/workshops or listening to our downloads to seek appropriate assessment, advice, support, and treatment from a qualified health professional if they have concerns about their health. Life Coaching is a service that provides personal coaching to specific individuals and/or groups. The client is aware that coaching is in no way to be construed or substituted as psychological counselling or any other type of therapy or medical advice. I Kerryn Slater will at all times exercise my best professional efforts, skills and care of ensuring my client is coached to meet their life coaching goals. The client understands and acknowledges the coach will not be liable legally or otherwise, for the actions the client may or may not undertake as a result of the life coaching sessions. No assumption of responsibility is made, or given, and the client requesting such advice agrees not to hold Kerryn Slater trading as Holistic Essentials Therapy and Consulting responsible or liable in any form or fashion, for such actions taken of their own accord. The method and process by which this advice and direction are given in no manner whatsoever, written or verbal, constitutes an agreement or liability on the part of the provider and is acknowledged to be different in many ways than clinical and medical counselling. You (the client) agree that using any of these life coaching services are entirely at your own risk. Life coaching services are provided “as is”, without warranty of any kind, either expressed or implied, including without limitation any warranty for information services, coaching, uninterrupted access, or products and services provided through or in connection with the service. This service is requested at the client’s own choice and with inherent singular responsibility. Any actions or lack of actions, taken by the client of such advice is done so solely by choice and responsibility of the client and is neither the responsibility nor liability of Kerryn Slater trading as Holistic Essentials Therapy and Consulting. The client takes full responsibility in the decisions they make after being coached as well as the consequences. The client enters into coaching with full understanding that they are responsible for creating their own results. Periodically I, Kerryn Slater, may provide links to other websites or written print material which may be of value, interest and convenience to you. This does not constitute endorsement of material at those sites or any associated organisation product of service. It is the responsibility of the user to make their own informed decision about the accuracy of the information at those sites and print material including their privacy policies. In no event shall Kerryn Slater be liable for any incident or consequential damages resulting from use of the material. Kerryn Slater works with clients to hypnotise them for the purposes outlined in this intake form and for future purposes that they may request. The success of hypnosis depends greatly on the client’s ability to relax and their desire to create change in themselves. Results of a client’s sessions depend greatly upon their own serious participation, and Holistic Essentials Therapy and Consulting cannot offer any guarantee of the success of any sessions. However Holistic Essentials Therapy and Consulting will do everything reasonably in their power to ensure each client’s success. Client confidentiality and privacy is paramount and the Australian Privacy Act is what governs the confidentiality of your information. Your name or the details of your sessions will not be shared unless written consent has been given to do so or ordered by a court of law. The participant may record the reading/intuitive session on their own device. If this reading/intuitive session is recorded there is no responsibility taken by Kerryn Slater for the quality or any issues of failure to the recording. Many times due to the energy, the recording devices fail to work or transfer. Any recordings (audio or video) may not be distributed or published publicly without the express written and signed consent of Kerryn Slater. Kerryn Slater retains the right to leave the Reading / Intuitive session or Energy Healing / Medical Intuition / Energy Clearing / Coaching / Hypnosis / Meditation session at any time if I am made to feel uncomfortable and clients will have this same right. Kerryn Slater has the right to terminate the session/consultation should the connection not feel strong enough. The client also has the right to terminate the session in the first 10 minutes without being charged should the session not be appropriate for them. Full payment of the session fee is required at the time of booking for all Phone/Skype sessions and in person Sessions. In order to participate in your Face-to-face session, you agree to attend your Face-to-face session at the time and location chosen by you when making your booking. Incorrectly scheduled bookings will be treated as a missed appointment within 72 hours in accordance with our Cancellation Policy set out below. Due to privacy reasons, the address for your Face-to-face sessions will only be sent to you upon receipt of your booking payment. if you are late for an appointment you forfeit that time, and a session will conclude at the original time as previously scheduled. You will be provided with a phone number/skype address at the time of finalising your booking and you will be required to contact either phone or skype at the date and time chosen by you when you made your booking. Should contact not be made successfully within the first 5 minutes of your scheduled time, it will be treated as a missed appointment in accordance with our Cancellation Policy set out below. A non-refundable deposit of $50 will be charged to confirm your booking. The balance will be due on the day if paying in cash or 2 business days prior if paying by EFT/Credit card (via website). Should you cancel your appointment you will forfeit the deposit. Should you need to change your appointment time, then 72hrs is required. Changes (made by client) within the 48hr time frame may result in loss of deposit. Missed appointments with no notification will be charged at the full price of the originally booked appointment. Certain legislation, including the ACL in the Consumer and Competition Act 2010 (Cth), and similar consumer protection laws and regulations may confer you with rights, warranties, guarantees and remedies relating to the provision of services by us to you which cannot be excluded, restricted or modified (Statutory Rights). Nothing in the Terms limits or excludes any guarantees, warranties, representations or conditions implied or imposed by law, including the ACL or any liability under the ACL, which by law may not be limited or excluded. we will not be liable for any loss, damage, costs including legal costs, or expense whether direct, indirect, incidental, special , consequential and/or incidental, including loss of profits, revenue, production, opportunity, access to markets, goodwill, reputation, use or any indirect, remote, abnormal or unforeseeable loss, or any loss or damage relating to business interruption, loss of programs or other data on your information systems or costs of replacement goods, or otherwise, suffered by you or claims made against you, arising out of or in connection with the Site, inability to access or use the Site, the products, the services, the late supply of products, or the Terms, even if we were expressly advised of the likelihood of such loss or damage. Your product may come with a manufacturer’s warranty. The manufacturer’s warranty is in addition to but may overlap with any rights and remedies you may have under applicable law, including any Consumer Guarantees. If you are not considered a “consumer” within the meaning of the ACL, the manufacturer’s warranty may be your sole remedy. You should check the manufacturer’s warranty, as many manufacturers’ warranties do not apply in a business or commercial setting. Please contact the manufacturer if you would like to make a claim under the manufacturer’s warranty. As you can appreciate, running a small business is at times tricky and challenging. Many of the events/workshops/classes run by Kerryn Slater are crafted and tailored for intimate groups with specific interests and gifts. As such it is at best difficult to find replacement participants at short notice. An Event/Workshop Cancellation policy exists to ensure that workshops/event can still go ahead for the benefit of other participants but also not run at a loss if participants pull out after the event is scheduled and confirmed. Deposit is due at the time of booking to hold your place. This deposit is strictly non-refundable unless otherwise indicated. 100% Refund including Deposit Refund. If, after booking an event you are unable to attend, you are welcome to nominate someone else to attend in your place so long as they meet the criteria of the workshop/Event. Please advise substitutions in writing so a correct name tag will be available on registration. In the event that you have registered to attend but made arrangements to pay on the day and you are not able to attend, then please note that you are still liable to the above mentioned terms and conditions of the Cancellation Policy. An invoice will be forwarded to you with the amount owing. This cancellation policy is not applicable with regard to Travel/Retreats, see terms and conditions on specific trip for cancellation policy. We do not provide refunds for any of our products, including downloadable products, for change of mind. If you believe your product is faulty and wish to seek repair, replacement or a refund for a product, you must return the product to us within 7 business days of receiving the product. If you are entitled to a refund, we will only give you the refund once evidence of faulty product is received by us, or we have received the product at our and inspected it and assessed whether it is eligible for a refund under the Terms. Any refund we make will be by the same payment method used to purchase the product. Subject to this clause, we will not accept for return any product that has been used, connected, installed, attempted to be connected or installed, or if your product is custom-made or is a special buy product. It is your responsibility to adequately package the product you are returning to ensure that it is not damage during return delivery to our warehouse.